I am creating a series of posters in a range called “Movie Classics”. The theme (excuse the pun!) 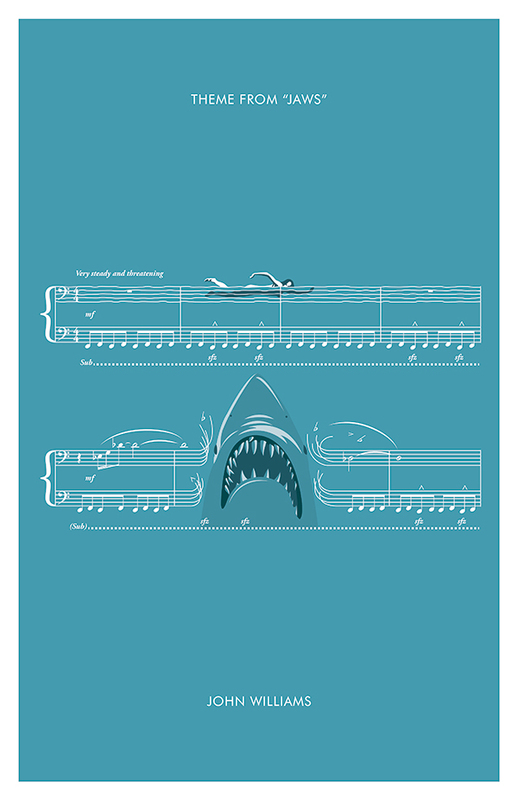 is showing the sheet music of the main title in an illustrative way and celebrating the brilliant composers behind many of the big screens great motion pictures. 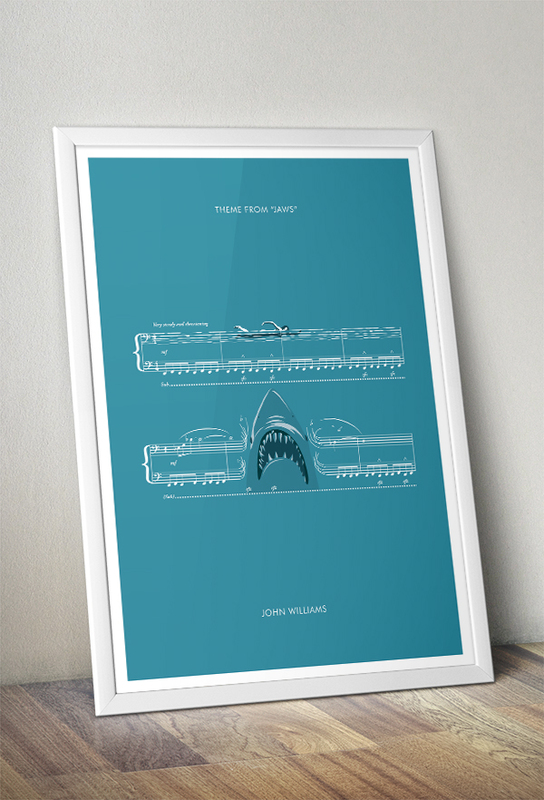 First up… JAWS. This entry was posted on August 20, 2014 at 3:43 pm and is filed under etsy posters, illustration, illustrations. You can follow any responses to this entry through the RSS 2.0 feed. You can leave a response, or trackback from your own site.